Yorkshire funny man Tom Wrigglesworth became a national have-a-go-hero when he rescued a little old lady from the jaws of Virgin train bureaucracy, only to be arrested for begging. 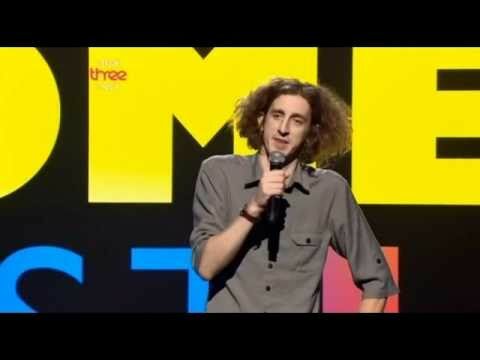 His subsequent sell-out show, ‘Tom Wrigglesworth’s Open Return Letter to Richard Branson’, bagged him the Chortle award for Best Show 2010, and a nomination for the main Edinburgh Festival Comedy gong. He recently clinched a deal for his own Radio 4 series, Tom Wrigglesworth’s Open Letters, tackling consumer affairs in his own hilarious way. Now Tom is taking his latest Edinburgh Festival sell-out show, ‘Tom Wrigglesworth’s Nightmare Dream Wedding’, on a national tour. A twisting, roller coaster of a story that’s both hilarious as it is heart warming. 2010 was an amazing year for Tom as he performed ‘Tom Wrigglesworth’s Open Return Letter to Richard Branson’ on Radio 4 and then had a full series commissioned. He sold out more than 30 dates on a UK tour, including a run at the Soho Theatre in London with extra dates added due to overwhelming public demand. He also accepted invitations to perform at the New Zealand Comedy Festival and the prestigious Montreal Festival where he was one of very few comics to perform a full show. Now firmly established as one of the most original and talented comedians on the UK and international circuit, charismatic wordsmith Tom began his ascent up the comedy ladder in 2002. In 2003, he scooped first prize in Channel 4’s prestigious So You Think You’re Funny? competition and a year later he was nominated for Chortle Best Newcomer. Since then, he has continued to take the UK circuit by storm. An articulate and natural raconteur, he possesses an innate ability to riff with an audience like they’re old friends. This is my 3rd time and it's still the best night out in Liverpool!